London's most notorious rogue—decadent, depraved, forbiddenThe ladies of the ton won't stop whispering about deliciously wicked Jack Dodger—once a thieving street urchin, now the wealthy owner of London's most exclusive gentleman's club. There's no pleasure he hasn't enjoyed, no debauchery the handsome scoundrel won't provide for the lords who flock to his house of carnal intrigue.London's most virtuous lady—honorable, uncorrupted, and all too human Olivia, Duchess of Lovingdon, would never associate with such a rogue. So when Jack is named sole heir to the duke's personal possessions, the beautiful, well-bred lady is outraged. 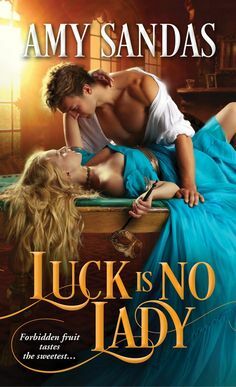 Now, Olivia is forced to share her beloved home with this despicable man.Caught between the devil and desireBut Olivia's icy disdain is no match for Jack's dangerous charm. His touch awakens desire. His kiss demands surrender. She will struggle to bar Jack from her heart . . . but her body, coveting divine release, will not let her bar him from her bed. Jack Dodger, a wealthy man who owns a prestigious gentleman’s club. Having lived on the streets when he was younger, he craves wealth. 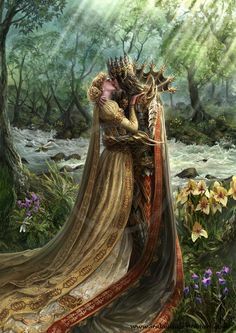 So when he hears that the Duke of Lovingdon has died, but his will leaves him all his entailed wealth, if he agrees to be guardian to his son, he agrees but meets resistance with the mother, Olivia. Olivia is furious, after hearing the will and that she has no power, even as the mother of her son, to repute the offer to Jack Dodger. Jack is only doing this for the power and wealth, but despite tension between him and Olivia escalate, he starts to care for this young boy he is responsible for. And he starts to realize that there are a lot more important things besides wealth, but when desire and passion are cultivated between these two, they come to realize that love is the most dangerous weapon of all when it comes to defeating the shield around one’s heart. This is the second in the series, and I just fell in love with Jack Dodgers story. Jack grew up on the streets being a pickpocket and now he is more than ever determined to make as much money as he possibly can. So when he hears that he is supposed to be the guardian to a young impressionable boy. But his mother Olivia matches his strong will, and tension flows between them both. But as time continues there is a desire that rises and unable for either of them to resist. I truly fell in love with this story and the characters as well. Not only Olivia and Jack but the little boy, Henry. From the beginning Jack starts to learn what it means to have a family, and the bond between Jack and Henry become undeniably strong. At first, Jack’s goal is to get Olivia married off to someone so he can just enjoy the rewards and not have to bear the responsibilities, but time passes and his relationship with Olivia strengthens to the point where he doesn’t know if he can live without her in his life. This is such a heartwarming story, where love can melt the ice of any hardened heart and teach the true value of the healing power of love. This is probably one of my favorite series written by Lorraine Heath, for the plot flows and the characters are engaging, and the passion and love these two feel will brighten up any stormy day. Such a wonderful read!! !